The newly built Moses Mabhida Stadium in Durban South Africa which hosted a world class football matches during the 2010 FIFA World Cup with a 54 000 capacity, it’s more than ready to host international events such as the Commonwealth Games. The city of Durban, situated on the east coast of South Africa, is the only African city that has submitted the bid to host the 2022 Commonwealth Games. Its tourism sector is exceedingly up to par and ready to welcome thousands, if not millions of visitors from all over the world. The Durban tourism sector is also one of the biggest tourist attractions in the SADC (South African Development Community) region as a whole and has been preparing for such a big event since 2013, when the “Taking Durban to the World” programme was launched. 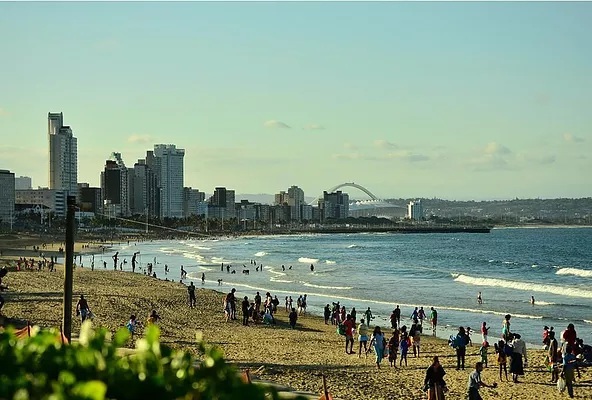 The “Taking Durban to the World” campaign is an economic development and visitor strategy, aiming to attract up to 5 million tourists annually to the city with the target of injecting ZAR10 million ( 1 Million US $) into the local economy. The programme is also aiming to create 74 000 jobs, according to the Durban Municipality website. According to their website, the Durban Tourism, Durban managed to host 7.4 million visitors in 2014. This is an increase of 12.8% from the previous 2013 statistics. The tourism sector has exceedingly managed to receive an amazing ZAR19. 2 Billion As a total direct spend by tourists in this city, while creating and sustaining 95 396 jobs in just one year. The city has a potential of growing even further in its 2015 financial year. Durban has been receiving extensive recognition from the international tourism sector, making it to the New York Times annual travel list to being named New Seventh Wonder City by the international tourism sector. Durban submitted the bid with the following venues to host the 2022 Common Wealth Games: the University of Kwazulu Natal, the Kings Park Rugby Stadium, the Durban Exhibition Center and the Durban International Convention Center. 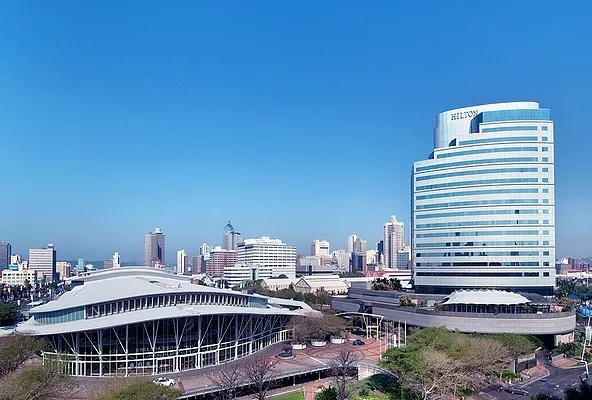 The Durban International Convention Centre as a world-class facility, has been hosting successful world prestigious and complex events. This multi-award winning venue has been voted Africa’s Leading Meetings and Conference Centre by the World Travel Awards no fewer than 13 times in 14 years and has been rated amongst the World’s Top 15 convention centers. The Durban International Convention Center and Durban Exhibition Center can function as one combined island site. North Beach is one of the beaches of Durban South Africa; it’s bordered by 2 large piers and has a marine parade that goes up to the Golden Mile. It has amazing surfing conditions and has facilities for surfing, body boarding, paddle ski, skateboarding, plain swimming and sun bathing. 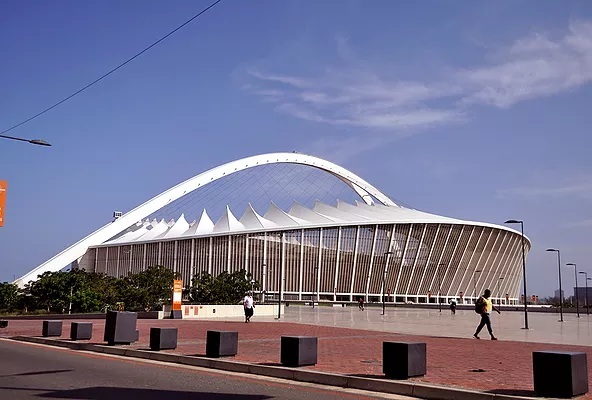 The Durban Exhibition Centre is situated direct opposite the Durban ICC. It is a multipurpose venue offering a range of venue options for excellent value-for-money. The Durban International Convention Center and Durban Exhibition Center can function as one combined island site. The Kings Park Rugby Stadium is regularly used for rugby and soccer matches as well as music concerts. It is the home ground of the Sharks rugby franchise with the stadium accommodating up to 55 000 spectators and also features several venues for after-match entertainment functions. Lastly, the newly built Moses Mabhida Stadium which hosted world class football matches during the 2010 FIFA World Cup with a 54 000 capacity is more than ready to host international events such as the Commonwealth Games. On 14 May 2011, the stadium was named as the tallest bungee swing by the Guinness Book of Records. The stadium also hosts various world class events such as concerts, festivals and is used by local soccer clubs. What else does ”Edubane” (that’s how South Africans would informally call this beautiful city) offer ? To begin, there are numerous places to visit in Durban, hence the attraction of so many people to its shores annually. Here is a list of some of my favorite spots. Firstly the Ushaka Marine World which is a magnificent theme park offering various tourist attractions. It is one of the largest aquariums in the world with over 31 tanks totaling 17, 500 cubic meters of water. The aquarium features a variety of shark species that include but are not limited to spinner sharks, hammerhead sharks and ragged-tooth sharks. The theme park also boasts what is known as “Ushaka Wet’N Wild”, a water park that has the highest water slide in the Southern Hemisphere. The water park hosts a vast number of attractions such as a lazy river that runs through a ship wreck to speed slides. The theme park offers loads of exhilarating pleasures such as Ushaka Beach and Ushaka Village. Secondly, Durban has the amazing Tembe Elephant Park. The park is a home to the big five of game animals namely the lion, leopard, black and white rhino and buffalo. With more than 340 bird species and a myriad of other animals and plants this tourist attraction has a unique story. It is the ancestral home of the Tembe people, who also are the co-owners and manage the Tembe Safari Lodge, a place of warm African hospitality, classic safari food and world class personal services to visitors. Thirdly, the city features the Durban Botanic Garden, the oldest botanical garden on the African continent. Within the 15 hectares of space the plants that thrive in a subtropical climate are cycads, ferns, orchids, bromeliads and a vast number of local and exotic trees. Gate Theatre of Shopping is big mall located North of Durban, according to its website, the shopping center hosts more than 2 million of visitors coming through in its doors per month. The shopping center was opened in September 2001 and it features all the major South African brands as well as major international brands. The shopping center also hosts various events and the premiering of local and international movies. North Beach is just one of the beaches of Durban and is bordered by 2 large piers and has a marine parade that reaches up to the Golden Mile offering amazing surfing conditions and facilities for surfing, body boarding, paddle ski, skateboarding, plain swimming and sun bathing. The beaches are also protected by shark nets and are patrolled. Local street vendors ply their trade selling beautiful Zulu traditional cloths, hats, necklaces, mats and a lot of other beautiful momentos that tourists love taking home. With the support of African countries rallying behind Durban and South Africa, the continent has high hopes of hosting the 2022 Commonwealth Games – Africa is waiting.